So, you’ve developed your chi, what’s next? Chi has been a very important and interesting topic dwelling in the world of arts and healing. More than just circulating life energy within the body, chi has become a source and way to unify the mind, body and soul. What’s great with this is that chi can be developed through various exercises – all you can learn to gain benefits. Qi is defined by the Chinese to be a life energy. It can be spelled as qi or ki. This specific energy is the one being used in healing and other practices such as qigong, acupuncture, reiki, taiji and other related traditional arts. It is a life energy that must smoothly flow smoothly within your body. Once learned how to produce and developed, this can be brought into other uses and advanced stages. What is Chi Power Plus? 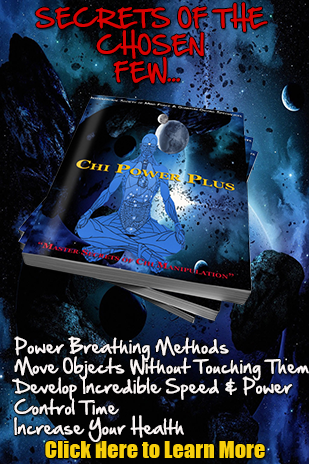 Chi Power Plus is really an introductory course designed to get used to know you with a lot of the concepts, the concepts of chi, the concepts of blood washing, the concepts of the standing meditation, the concepts of lying down meditation, and a lot more. There might be some advanced techniques that you might have tried and they maybe don’t literally work because you haven’t opened up the Chi system enough. You haven’t opened up the Chi channels enough that you can actually feel it. The key to any program is in the beginning stages , the main thing is you’re starting to build up the Chi channels and so a lot of that is gonna be through really the advanced trainings such as using videos and DVDs. In our Chi Power Plus program,o we’re going to be going from the known to the unknown. This is because everything must be started on the beginning and to analyze every possible inherent dangers to Chi training in the sense that if you don’t follow the prescribed advice, if you go off the rails go off the chain, it could be bad. What’s next to building your chi? Ok, so you build up chi and it gets bigger and bigger. Well there comes a point where you refine that chi and so you pack it. You make it more dense but it’s gotten, you know not necessarily, smaller, but maybe more denser, more refined, it’s back and you start building it again. Build up a little bit more when you bring it back and you refine. Have a daily affirmation, suggestions and visualization. Visualize a lot of the0 concepts and go over it. Check out other courses like Chi energy packing, blood washing and more. You were actually affecting the entire body when you’re doing these different exercises that’s why it’s very important to make your outer body stronger to keep the inner body more responsive. There are a lot of mp3 files available offering great teachings and information. Start going to some advanced concepts so you can learn more and then bring yourself to an advanced level. Because in the qigong area, you can find literally so many different concepts techniques which can drive you crazy going through it, yet, a lot of them are not effective. So why waste your time doing exercises that are not effective. I’ve taken the best of what they’ve taught, kinda like what Bruce Lee, I’ve always talked, take what is useful, discard what is not. For more details, check out http://chipowersecrets.com/.